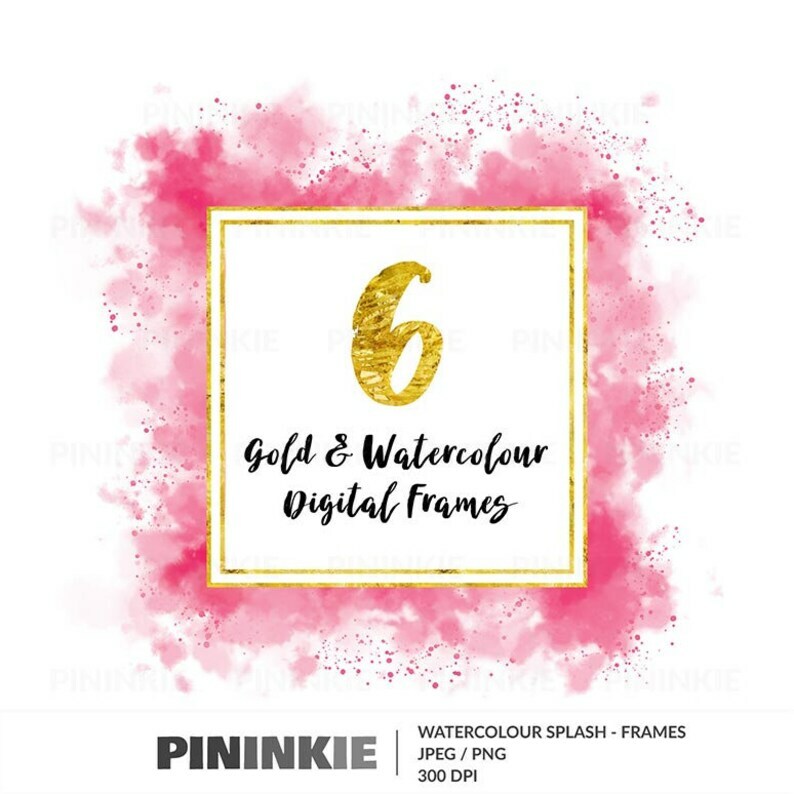 Make an impact with these 6 stunning watercolour and gold effect square frames. Use on Instagram, for scrapbooking and cardmaking or other paper crafts. • You will need software that supports the use of PNG image files and to open Zip files.